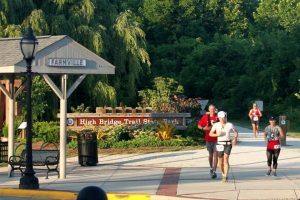 The Freight Train 50k/100k is a companion race to the summertime Night Train 50k. It covers the same course but takes place on December 14th, 2019. The course features a 50k and 100k option. The race begins at 7:15am and ends at 12:45am on the 15th. There is a 18 hour time limit for the 100k. There is an 18 hour time limit for 50k runners as well. This makes it a great choice for first time ultra runners. 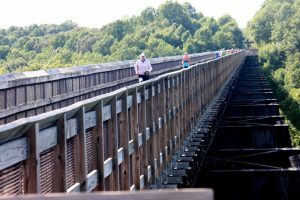 All runners will pass over the famed “High Bridge” twice during their run. The race begins at 7:15 on December 14th, 2019. The start and finish line will be the caboose in downtown Farmville. Runners will travel east from Farmville. At Camp Paradise they will have access to an unmanned water point. They will continue a total of 8.8 miles to Rice. This will be the first aid station for the 100k runners. It will also be the turnaround point for the 50k runners. From Rice they will continue to Moran, 3.5 miles away. This will be the second aid station. Runners will continue past Moran to the end of the trail. They will turn around at the end of the trail and return to Moran. From here, they will retrace their steps back to Rice and Farmville. This is 28.6 miles round trip. Farmville will be the halfway point as well as an aid station. They will head west from Farmville to the next aid station at Tuggle. This is 5.7 miles. They will then travel another 3.9 miles to Prospect, the next aid station. From Prospect they will travel 6.5 miles to the trails end at Pamplin City. 3.5 miles into this leg they will reach a crew access point at Elam. They will turn around and Pamplin City and retrace their route to Farmville. This portion of the course is 32.2 miles. This route will follow the route of Night Train. Runners will run from Farmville to Rice. They turn around and return to Farmville at Rice. From Farmville they run to Tuggle for an aid station. They then run 1.75 miles past Tuggle to Osborne Road. They turn around here and return to Farmville via the Tuggle aid station. There are two lengthy portions of the course where runners will have to travel a long distance without an aid station. These are Farmville to Rice (8 miles) and Prospect to Elam (6.5 miles). Crew members will be able to access their runners at multiple points on these stretches. Runners must remember to carry enough water to travel these sections. Runners should also remember to carry any trash they create to the next trash can. All of the aid stations will have typical Ultra food. Bananas, Oranges, PB&J, Salty food, gummy food, water and Heed. Broth will be available at Rice, Farmville, Tuggle and Pamplin City. Pizza will be available at Farmville, Pamplin City and Rice. Runners will be tracked as they come into each aid station. Any issues will be elevated to the Race Director at the start/finish line. Runners not meeting the cutoff times in the chart above will be pulled from the course. Drop bags for the 50k runners will be available at Farmville (halfway point) and Tuggle. Drop bags for the 100k runners will be available at Moran, Farmville (halfway point) and Pamplin City. There is no need to mark the course aside from the turnaround points. This will be at Osborne Road (50k) and Trail’s end at Burkeville. It is not anticipated that any additional restrooms will be needed. Preexisting restrooms will be used along the trail. Prince Edward EMS will be briefed on the race ahead of time. All manned aid stations will have a first aid kit. In the event of severe weather the race director reserves the right to postpone the race. It is understood that once runners are on the course they may have to make a decision to shelter or carry on depending on their location. 50k runners do not need to carry a light source. 100k runners will need to have a light source with them no later than when they leave Tuggle outbound from Farmville. A Cumberland County Sheriff’s deputy will be placed at River Road to provide safe crossings for runners from 7:45 to 2:45. Because the runners will be spread out it is not anticipated that a police officer will be needed at the road crossing in Downtown Farmville. 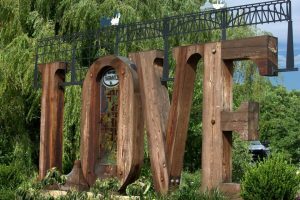 The race will begin at the Love sign to avoid runners immediately needing to cross the road. Typical Ultra fare will be provided at every manned aid station. Hot broth/soup will also be provided at each aid station. Lunch/dinner food will be provided at Farmville and Pamplin City. Prizes will be awarded to the top 3 runners of each gender for each distance. Every finisher will receive an award. Long Sleeve t-shirts will be provided for every runner signing up prior to December 1st. The entry fee for the 50k will be $65. The entry fee for the 100k will be $105. As always, military, fire, law enforcement, EMS, nurses and teachers receive a discount. Enter the code “THANKS” when you sign up for a discount.